Unique collections and resources from Auckland Libraries research centres and heritage collections. 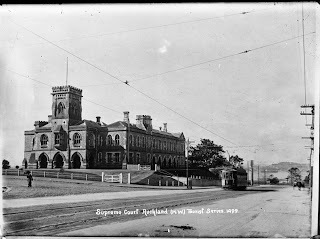 One of the grandest buildings in Auckland is the striking Supreme Courthouse on the corner of Waterloo Quadrant and Anzac Avenue. A Hstoric Place Category 1 listed building, it has been described by the Historic Places Trust as a 'powerful example of Gothic Revival architecture'. Built in 1868, it was not the first courthouse to serve Auckland’s growing population. There were in fact two earlier buildings. 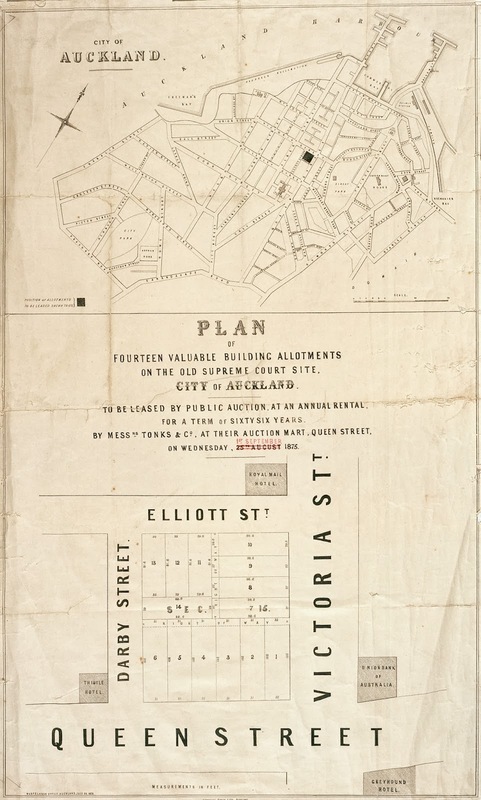 In 1842, the first was constructed on the land bordered by Victoria, Elliott and Darby Streets. Besides the courthouse there was a gaol, gallows, exercise yard, even stocks. From the outset, though, the site was condemned as sub standard. 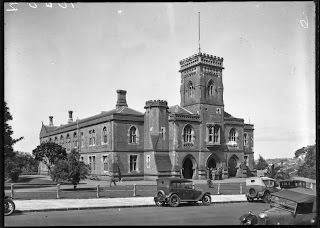 The New Zealand Southern Cross expressed its distaste in its June 8th 1852 issue, saying, 'It is really too bad to pen up a judge, jury and Bar in such a wretched barn as our present Courthouse'. 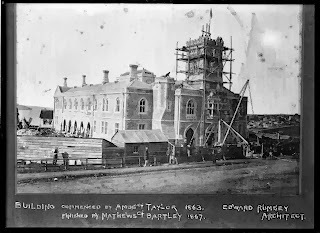 Eventually a temporary building was built in Eden Street (now Parliament Street) while the planning began for the new Courthouse at an estimated cost of ₤25,000. A design was obtained from architect, Edward Rumsey (1824-1909) of Dunedin, the site chosen, and the construction of the Supreme Courthouse began. Not that it was a process without problems. The original contractors never saw the project out and new builders were bought in to complete it. It was also realised that the original quote hadn’t allowed for the plaster and joinery work - crafted by Anton Teutenberg (1840-1933) - so the budget blew out by several thousand pounds. But three years after the foundation stone was laid, the first court sitting was held. 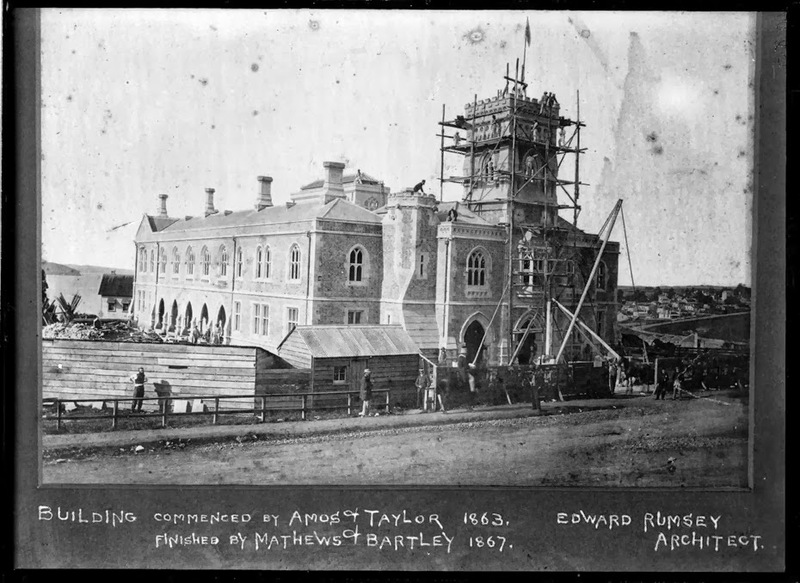 Nearly 150 years later, the building remains as one of the great testaments to early Auckland. Want to find out more? Check out this little gem in the Central Auckland Research Centre's collections: 'The Supreme Court Buildings, Auckland, 1841-1868. 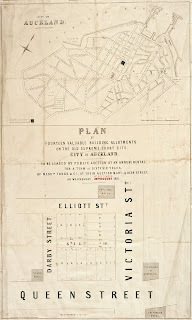 Law Society of the District of Auckalnd', by C.W. Vennell (1968). Kia ora! Please leave your comment below. The art of Private Press books.